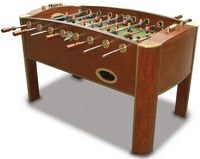 This Sportcraft Interceptor table is a full size table from the Sportcraft foosball table manufacturer. 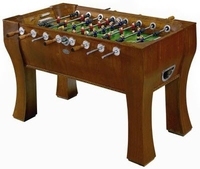 Sportcraft makes 10 different foosball table models and the Interceptor falls at about 3rd from the bottom in terms of level of quality. 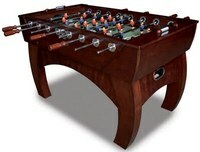 Most Sportcraft tables are family-style tables that are for the average player. 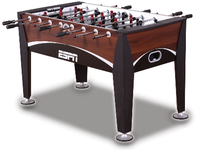 The Interceptor is not made with tournament parts, but does have a couple nice features like the adjustable leg levelers that make it convienient to level the foosball table. 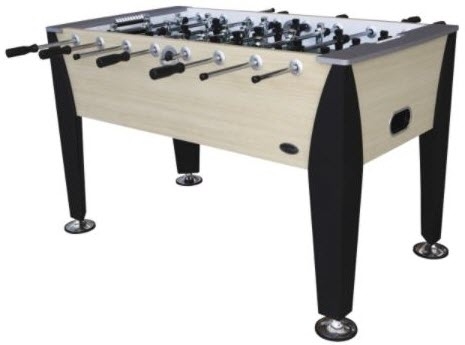 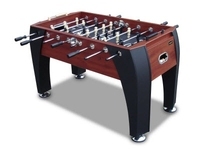 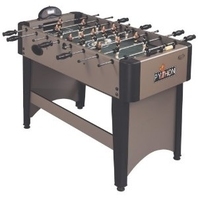 If you are a more serious foosball player, we recommend taking a look at the Tornado tables that will provide a table that you can perform advanced foosball shots and compete on at the highest level.